Looking for the best luxury hotel in Dubai? Your search ends at Shangri-La, which offers the best location, great facilities, fantastic restaurants, top-notch service, and a lot more. Cloud-piercing skyscrapers, emerald green coastline, and the magnificent Arabian Desert combine to make this sparkling city the preferred destination for more than 16 million visitors every year. There’s arguably no place as lavish as Dubai. 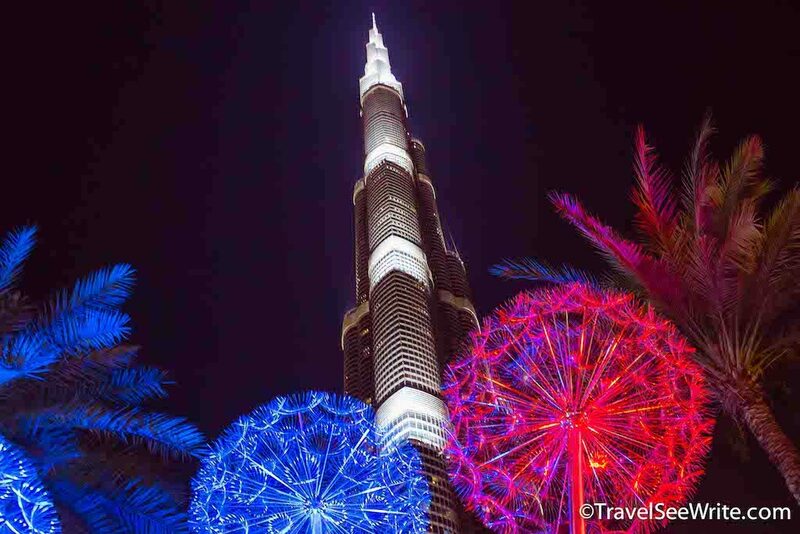 People go to Dubai to embark upon shopping sprees journey, or to party like there’s no tomorrow, or to pay homage to some of the most astonishing wonders of modern architecture in the world. 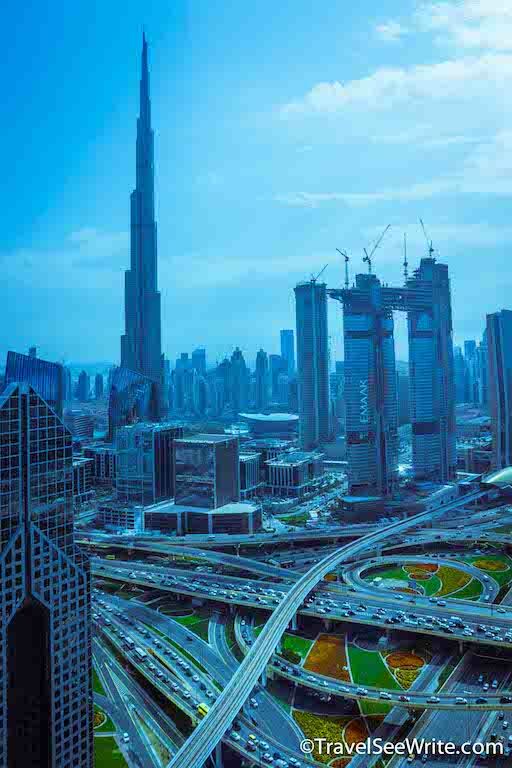 The city is home to the world’s tallest skyscraper, the Burj Khalifa, rising high at 830m. 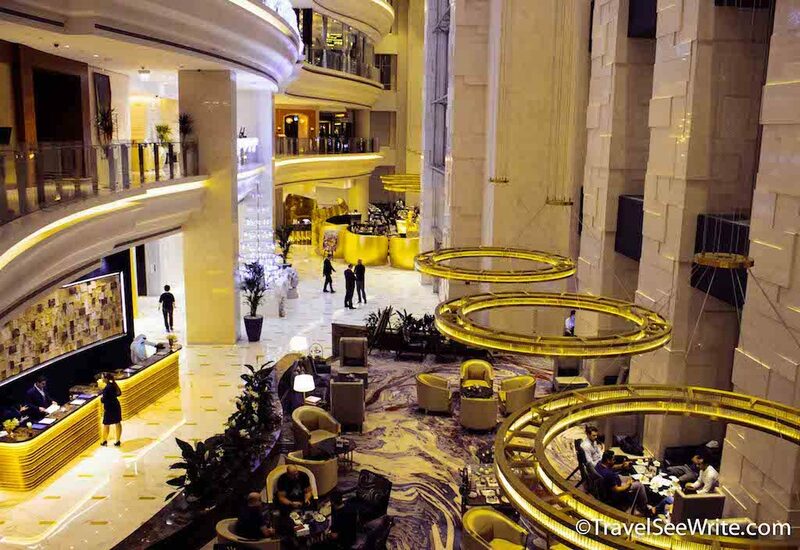 If you go to Dubai, then it is an absolute must for you to stay at its extraordinary luxury hotels that pamper you with elegant rooms, refined international food, and extra-special amenities. 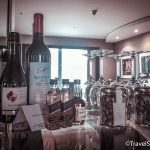 Below is my experience of staying at Shangri-La, the best luxury hotel in Dubai. In a city that strives to be extravagant, Shangri-La is an elegant retreat in a desert sanctuary. There are some hotels which simply have it all. Shangri-La is one of them. 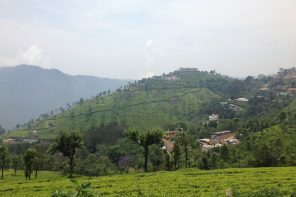 The views, the location, the food and above all – a sense of belongingness. There are 302 luxury rooms and suites, as well as an exclusive Horizon Club with special benefits. The hotel welcomed me with warm décor comprising of sleek lines and native artworks. I was spoilt for choice when it came to dining. 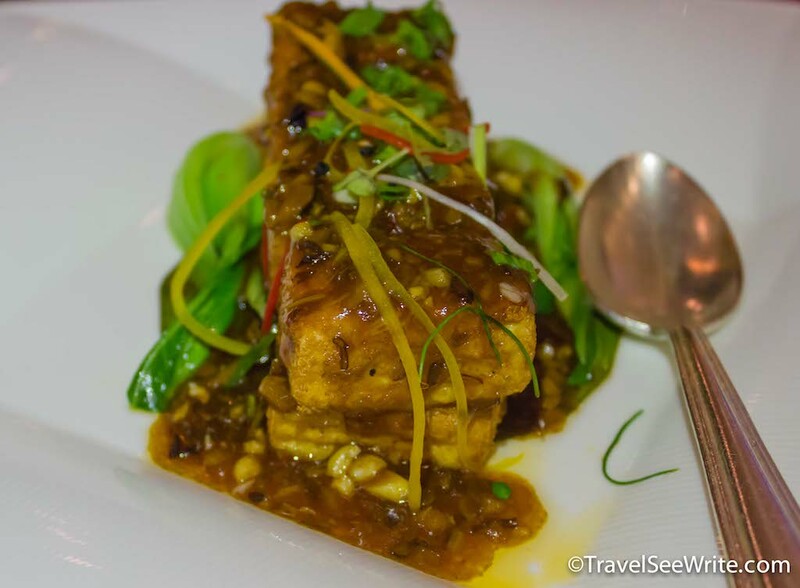 An inspiring culinary journey I took through Asia, Europe, India and South America. And, I really loved lounging around the curved swimming pool. 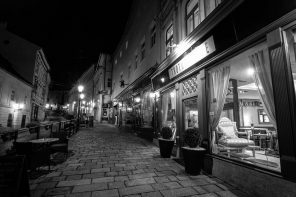 Here are my reasons why I recommend this place to anyone who loves luxury living. There are very few hotels in Dubai that can boast of a location and views like the Shangri-La Dubai. 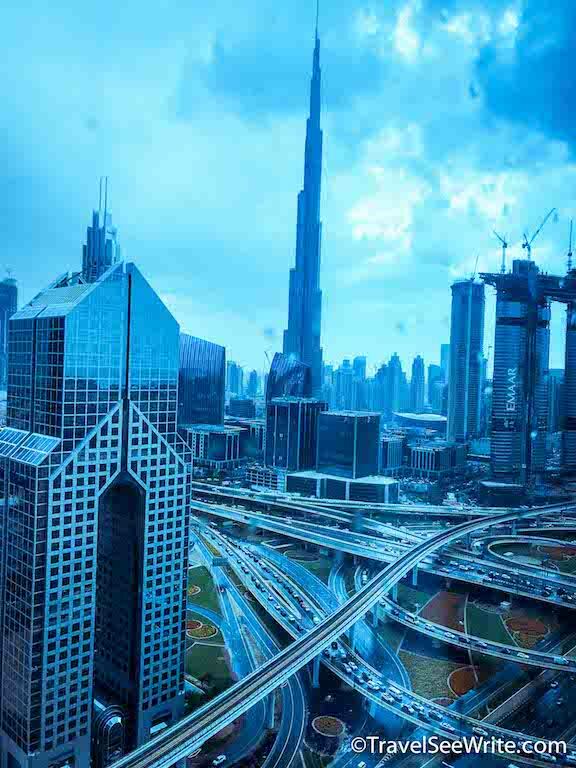 Located along Sheikh Zayed Road, the hotel is right in the center of Dubai’s bustling area with shopping, entertainment and wild skyscrapers just a few blocks away. It is a 15-minute taxi ride to the airport and beach. 10 minutes to the World Trade Centre, Dubai International Financial Centre, Downtown Dubai, Dubai Mall, and Burj Khalifa. The commute is never a problem at Shangri-La with 24-hour taxi service right at the doorstep and the nearest metro station is just 550m away. Also, there’s a regular free shuttle service to major shopping hubs. One of the outstanding features of Shangri-La Dubai is the spectacular views it offers from its balcony, outdoor lounge, and rooms. Taking the lift to the top floor, I cross an exclusive indoor swimming pool and gym to reach a balcony which offers arguably the best views in Dubai. 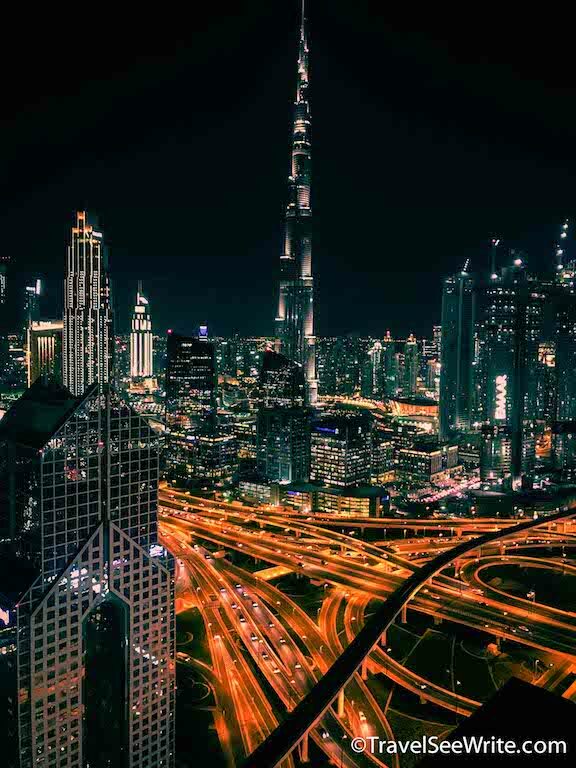 The glamorous cityscape stretches out in front of my eyes – studded necklace-like skyline, tall mirrored skyscrapers, a colourful network of Dubai’s highway system and of course the needle-like sky-piercing Burj Khalifa. If you are staying in a city renowned for its desert splendour, your hotel is expected to deliver the same. And, Shangri-La cuts no corner. Huge vases line the front of the building as I approach the hotel and concierge dressed in vivid red welcome me with a radiant smile. I step inside this sleek, 42-storey tower to find an atrium-style lobby with Lasvit chandeliers. At the check-in counter, I can’t help but get captivated by the striking artwork featuring hundreds of books in various languages. My check-in is quick and hassle-free. Before settling in my room, I take in a moment to appreciate the understated elegance of the hotel. Classy style exudes from every corner – pristine marble floors, matching walls, and furnishings are tastefully done in accents of gold, shimmer, and tropical floral colours. 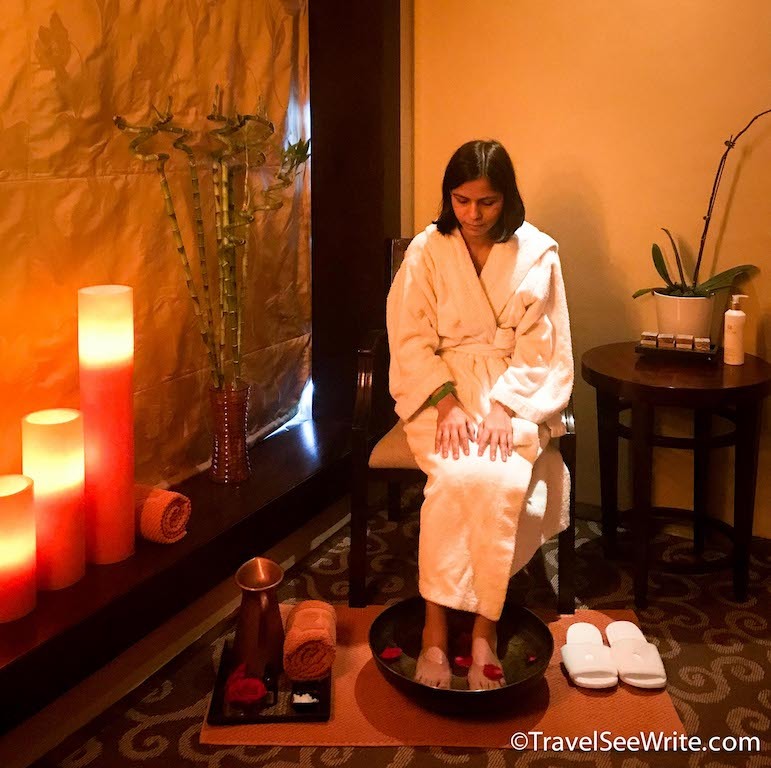 Having experienced the signature Philippine Hilot Massage at Shangri-La Mactan Cebu, I am really looking forward to another session of authentic natural healing. And, I must say Chi Spa, Shangri-La Dubai surpassed my expectations. I walk through the candlelit walkway, lined with tranquil rose petal pools, to meet my therapist. She pairs the holistic spa rituals with the finest European skin care products and customise the treatment as per my body requirement. The Arabian-inspired treatments use ingredients like dates, coffee, and rhassoul mud. Before getting the spa treatment, I relax at the whirlpool facilities and an outdoor pool. 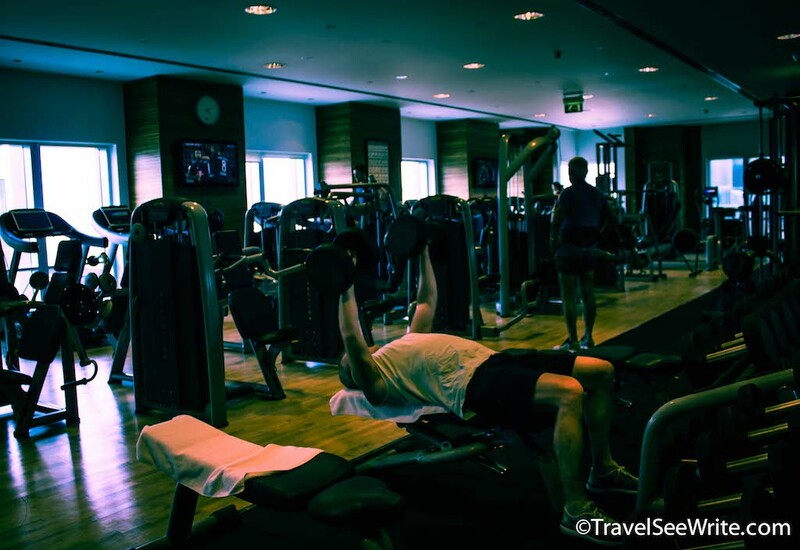 There is also the neighbouring health club where you could work out at the gym, play squash or take fitness classes. 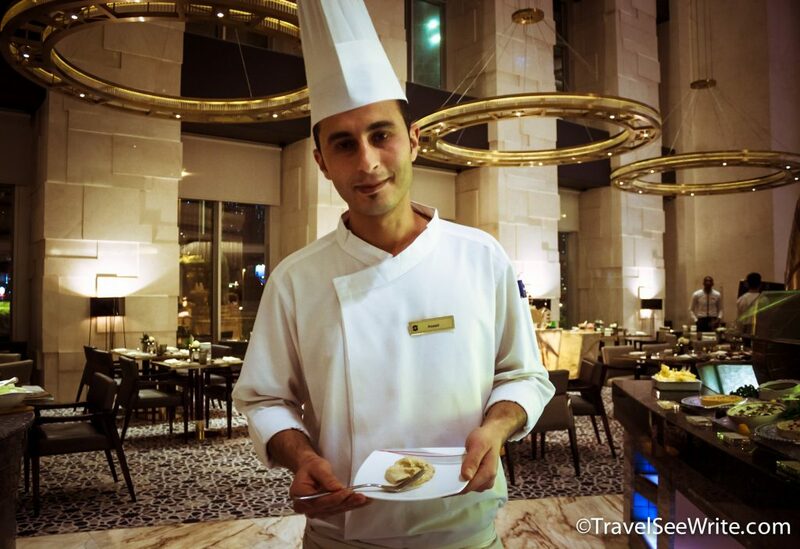 I hardly dine at hotels I stay in but Shangri-La Dubai was an exception. 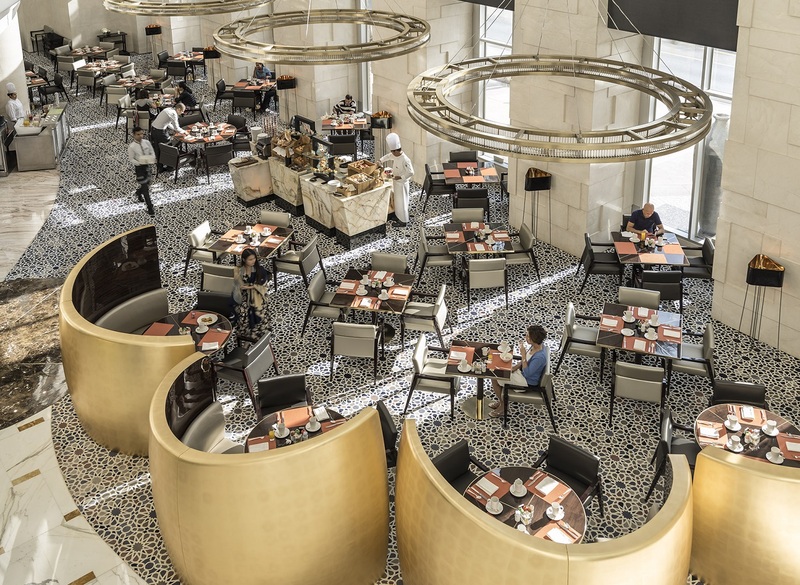 The hotel is home to more restaurants than you could imagine and there’s something to satisfy almost every craving. The best part about the hotel is its staff – brought from the nations of each featured cuisine, ensuring a most authentic dining experience with a dash of Shangri-La’s renowned service. 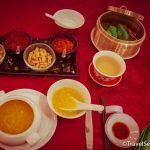 The signature restaurant of Shangri-La Hotels worldwide, Shang Palace, is one of the best places I ever had a mouth-watering Cantonese and provincial Chinese delicacies. 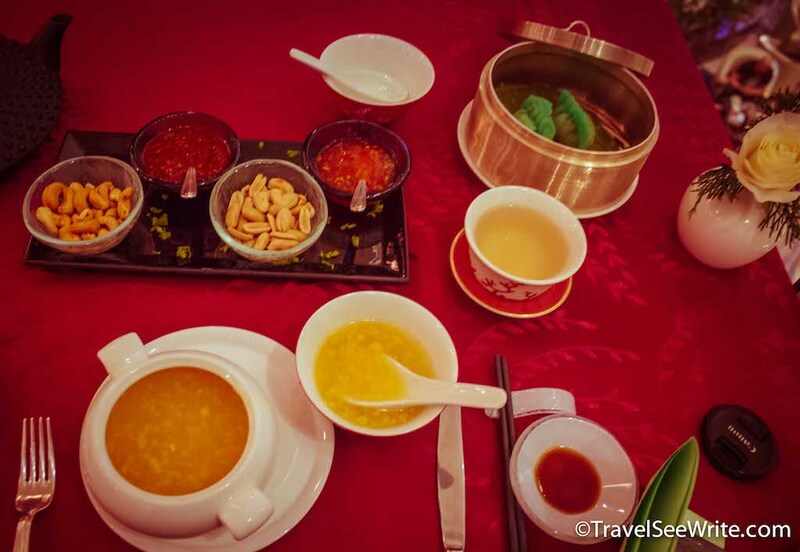 I really love its vegetable dumplings, Sweet Corn Soup, Pan-fried Tofu with Black Truffle, Fresh Mango Pudding, and the unlimited fragrant green tea. Unfortunately, being a vegetarian I can’t try their highly-acclaimed Beijing Duck and yum cha. 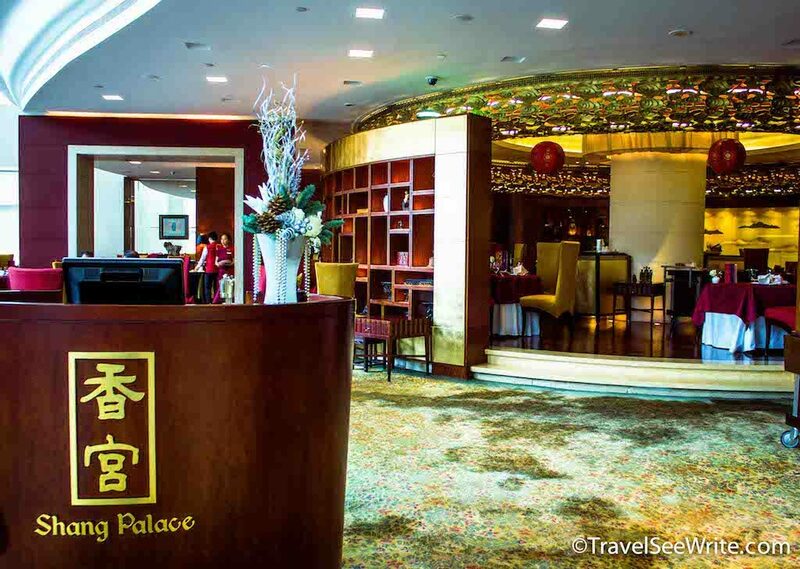 Shang Palace, a unique fusion of a mystical Far Eastern ambiance and the finest cuisine is one place you mustn’t miss out on. 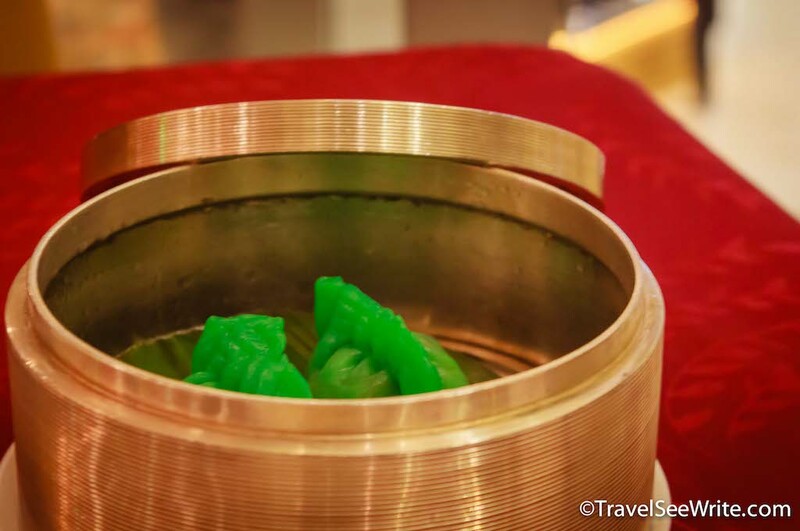 During my conversation with the restaurant manager, Yuan Mao Alex, I get to know a unique fact about Shangri-La’s signature restaurant – even if there are multiple Shangri-La hotels in a city, there will always be only one Shang Palace in the city. An authentic Vietnamese restaurant run by a completely Vietnamese team will take you back to the country of flavours – Vietnam. While chef Pham Ngoc Quan works his magic in the kitchen, his charming sister Luyen manages the front of house. The food is the best Vietnamese food you can get in the city where you never run out of options and interestingly the restaurant was also the first Vietnamese restaurant in Dubai. 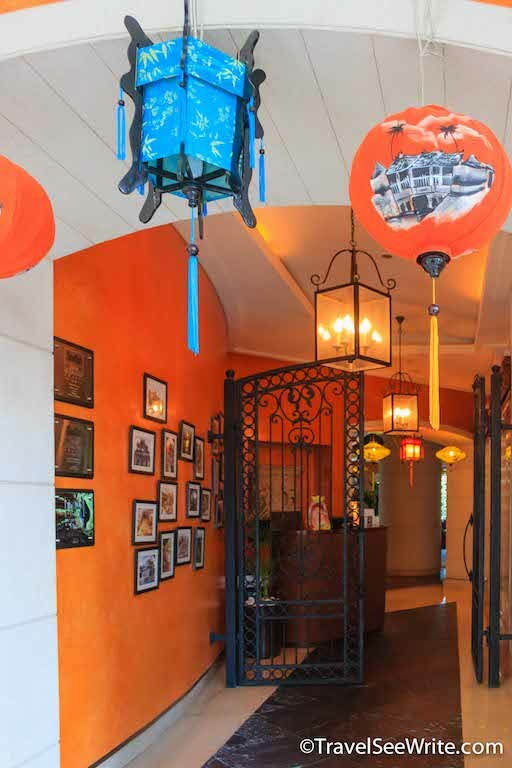 Its ambiance will remind you of the charming city of Hoi An in Vietnam. Although this restaurant was closed for renovation during my visit, it is a must for Indian Cuisine lovers. 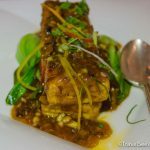 The Michelin star restaurant serves a modern Indian menu which has won countless awards and hails from its big brother of the same name in New York. I’m not much of a breakfast person as I mostly wake up late – but I wouldn’t miss breakfast at Dune’s café for anything. 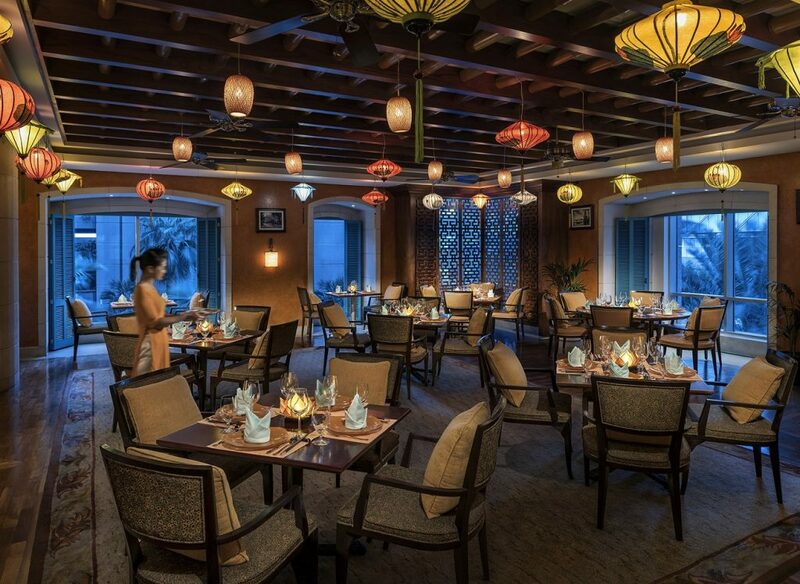 A gorgeous large dining room with an equally impressive buffet and ala-carte menu. 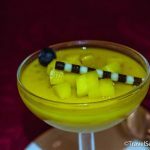 – Dunes Café offers a wide selection of pastries, fresh smoothies, and eggs cooked to order, plus Indian, Chinese, Arabic and Western hot and cold dishes. 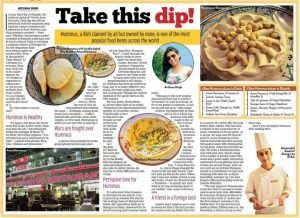 I really enjoyed mouth-watering dishes, prepared at live cooking stations by world-class chefs (Don’t forget to read my Hummus story). From breakfast through to dinner, there’s something to suit every mood and taste. 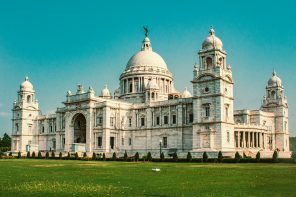 One caveat – it is a much in demand hotel with almost full bookings through the year, therefore, it does get very busy in the morning, so the earlier the better. There are 42 stories with 519 rooms of which 302 are guest rooms, 29 suites, 126 serviced-apartments, and 62 residences. The Deluxe Burj Khalifa view room that I am checked in offers stylish comfort with the luxury of space. As I enter the room, the motorised curtains open to reveal the eye-popping view of the city. A hand-written note from the Hotel GM, baklava, a basket of Fresh fruit, a well-stocked mini-bar and flowers welcome me. The room features an inviting earth-tone design that is based on warm sycamore veneers. 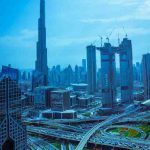 In addition, my room is decorated with original local artwork and feature impressive views of the Sheikh Zayed Road, Dubai cityscape as well as unobstructed views of the cloud-kissing Burj Khalifa. A perfectly placed work desk, with complimentary Wi-Fi combined with a spectacular view literally, makes ‘work fun’. My bathroom is spacious with zesty Mint premium toiletries and a lovely walk-in rain-forest shower. Not to mention the added bonus of club room access on the 42nd floor. 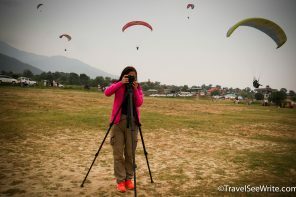 Let me warn you beforehand – staying at Shangri-La is spoiling yourselves with luxury living. You would enjoy it so much, you wouldn’t ever want to leave. Here are few more things that stood out for me. Its lobby lounge serves an assortment of all-day patisseries, as well as a full afternoon tea and an array of cocktails, juices, and fine wines. Evenings are pulsating with live music playing almost every single night. The 4th-floor poolside lounge is a great place to unwind with white sun loungers, hot pink towels, and amazing Burj Khalifa views. 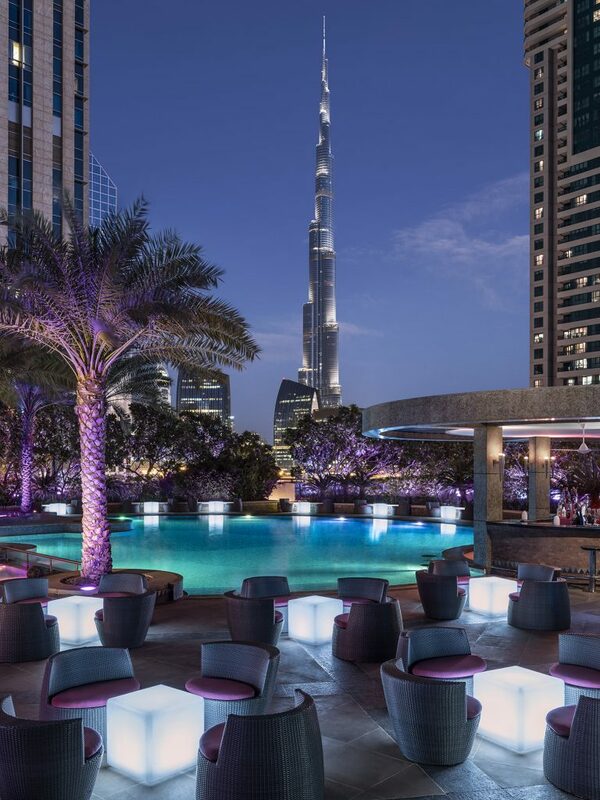 The best time to visit this poolside bar is after dark when it transforms from a relaxing place into a high-octane bar powered by shisha and DJ tunes. On the same level is CHI Spa, and a health club with gym, saunas, steam rooms, plunge pools, tennis and squash courts. Club room guests have access to a fantastic private health club on level 42 with an indoor pool and suntrap terrace. The best part of Shangri-La is its signature service. The staff remembers you by name and are genuinely warm, helpful and professional. 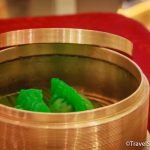 I have stayed at so many luxury hotels around the world but the way Shangri-La gives the personal touch is a different league. 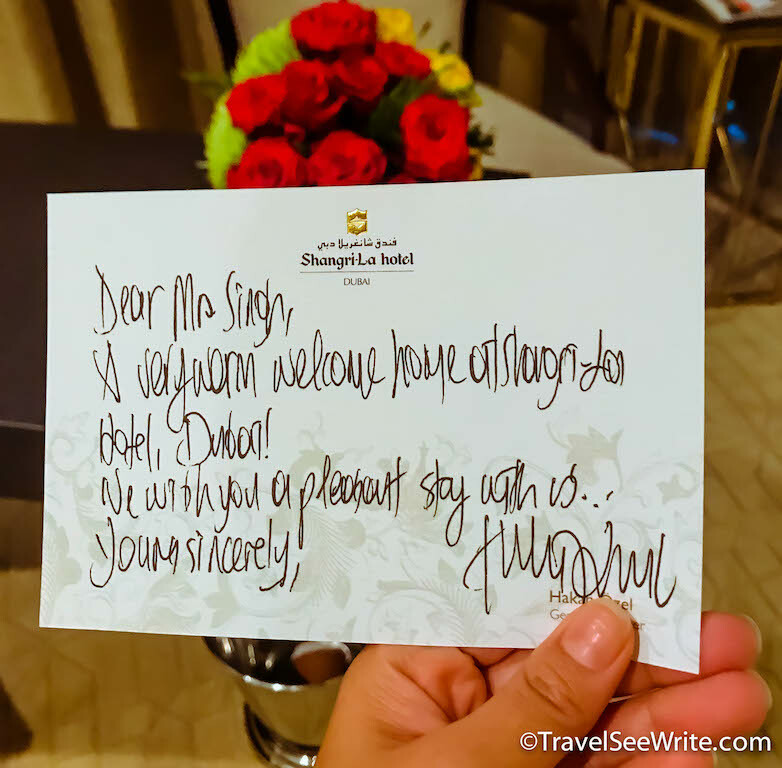 Whether it was Amanda (Communication Manager) or Yuan Mao Alex (Manager at Shang Palace) or Assad (Chef at Shangri-La) or even the housekeeping staff; everyone made me feel at home. Talking to them was like talking to a friend. 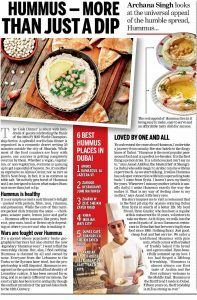 Chef Assad of Dunes Cafe, Shangri-La Dubai. Dubai is one of the most visited cities in the world and “Where are you staying?” is like asking where you live back home. People always judge you where you are staying. So, having the best luxury hotel in Dubai as your home, even for a few nights, guarantees a positive first impression. 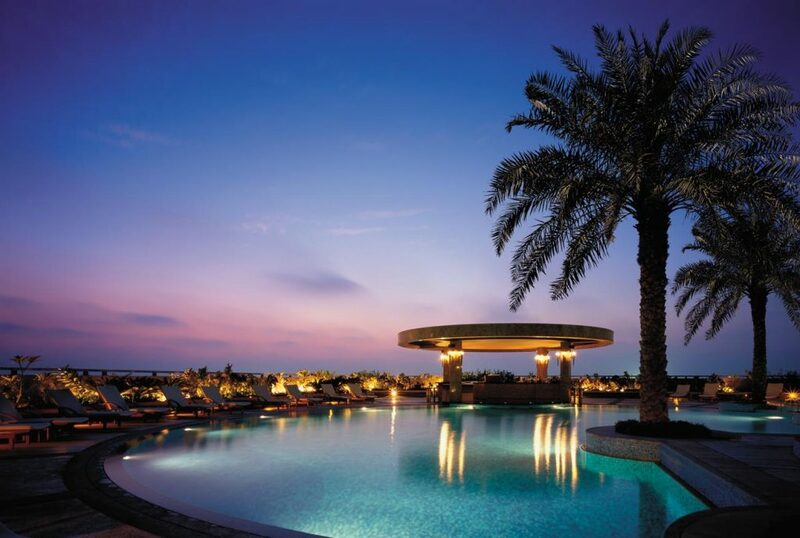 Have you ever stayed at Shangri-La or any other best luxury hotel in Dubai? If yes, I would love to hear from you. 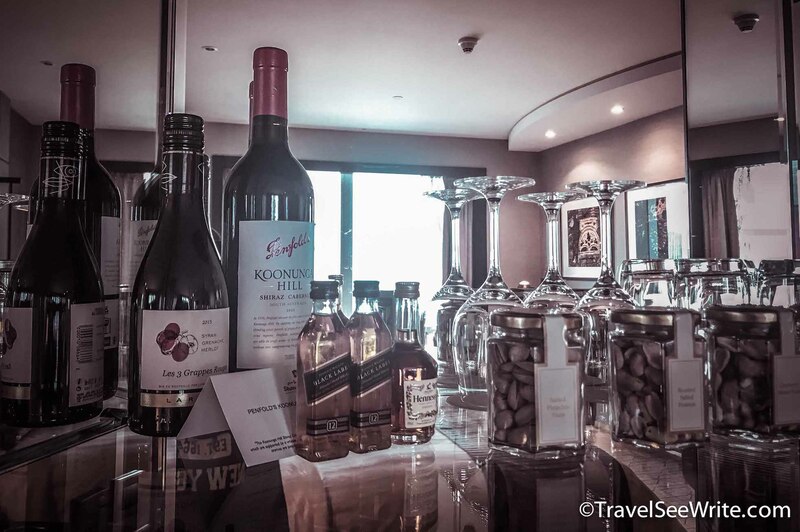 I was hosted by Shangri-La Dubai in December 2017. However, as always, the views are solely mine and based on my personal experience. 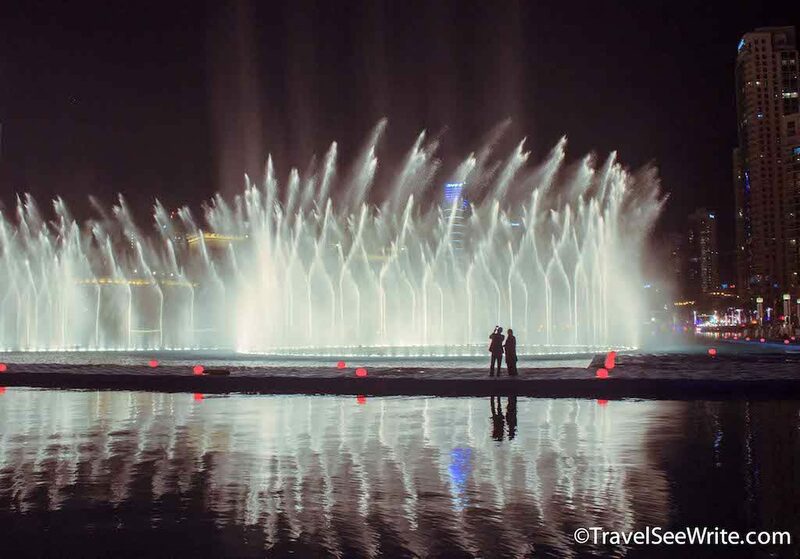 The fountains are amazing and I think the money spent is worth.. I totally agree that it’s one of the best hotels here! it’s stunning! What a dreamy hotel! 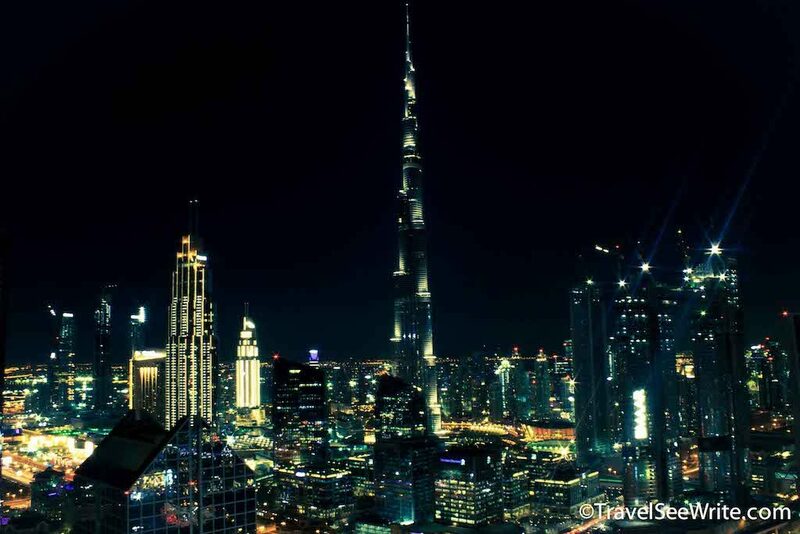 I’ve seen it so much all over Instagram and I told myself I want to visit and stay there at least one night If I have the chance to visit Dubai. It has so many options to eat, but what I like most is definitely the view! Wonderful photos that appeal to the eyes. 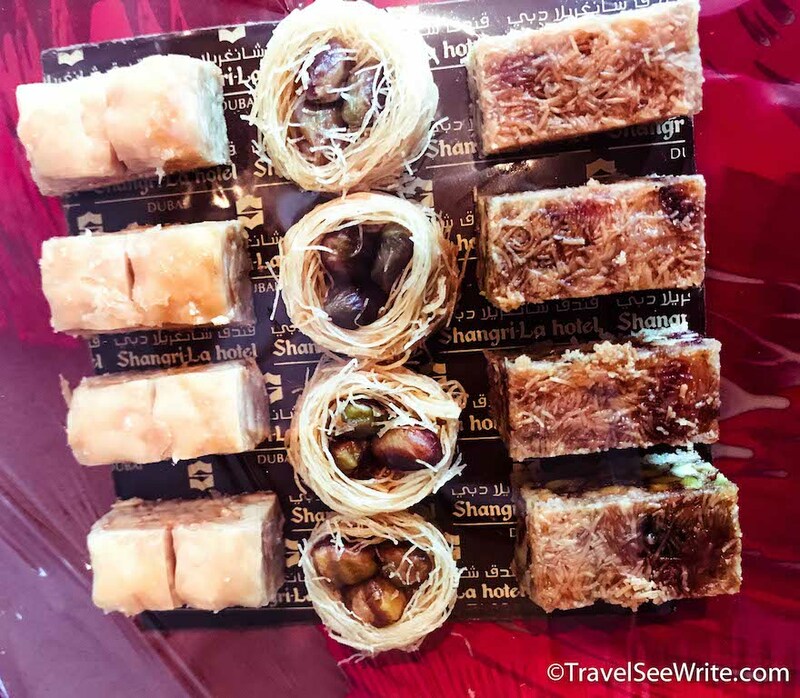 I haven’t been to Dubai for more than a few hours on layover, but when I do, I’ll check Shangri-la Dubai out – if only just for their food! Haha :)) I love Shangri-la Hotels and their customer is top notch. I do love the Shangri-la group of hotels (except for the Bangkok hotel I’ve stayed at). The food here looks awesome and I do like the suites! The good thing about choosing Shangri-La is the standard is always consistent anywhere in the world. Throw in the view of the Dubai skyline and you have a winner. I’d be spending most of my time poolside on the 4th-floor or in the spa. .
Ooooh the Shangri-La brand is luxirous enough, but then add Dubai, one of the most luxurious cities in the world, what a killer combination! I visited when I was 21, and I’m a big kid at heart so I went for a stay at Atlantis the Palm. It was incredible, no doubt. Now that I’ve evolved a bit into my travel style, I enjoy the refined elegance of a place like the Shangri-La, so will definitely look into booking on our next trip. Pretty incredible that you had a view from your room straight across to the Burj Khalifa! Ah, what a luxury! 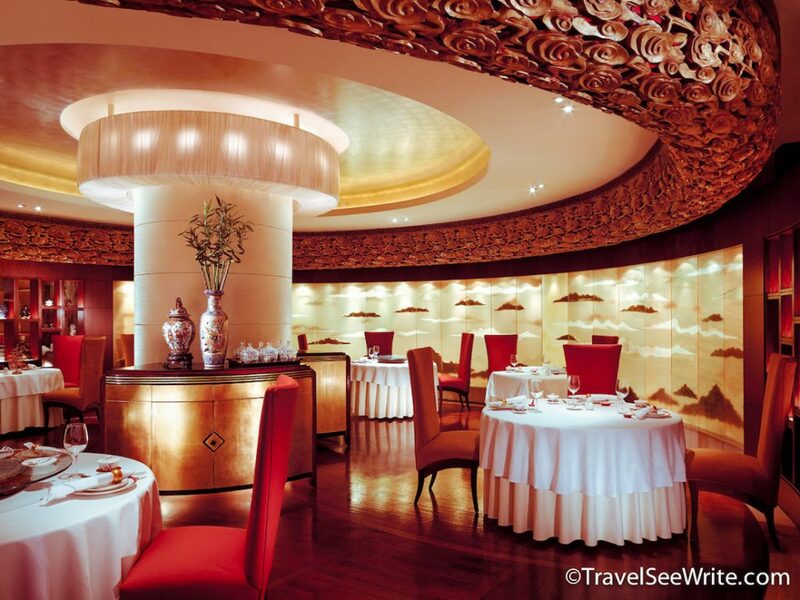 Shangri-La is world renowned for its opulence and great comfort. I read a lot of posts about Dubai lately and after reading yours I am even more tempted to add this destination to my list. It seems like an incredible place! I was sold at that rooftop bar view. How incredible! This hotel looks simply magical and that spa looks truly divine! I love how there are so many wonderful dining options! 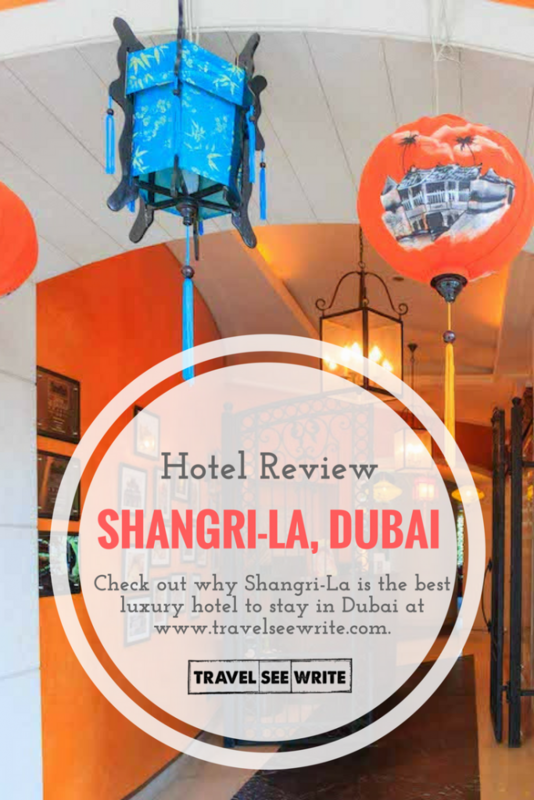 For me, the whole of Dubai screams luxury, and although I don’t have any great desire to visit, Id love to stay in a hotel as incredible as the Shangri La. 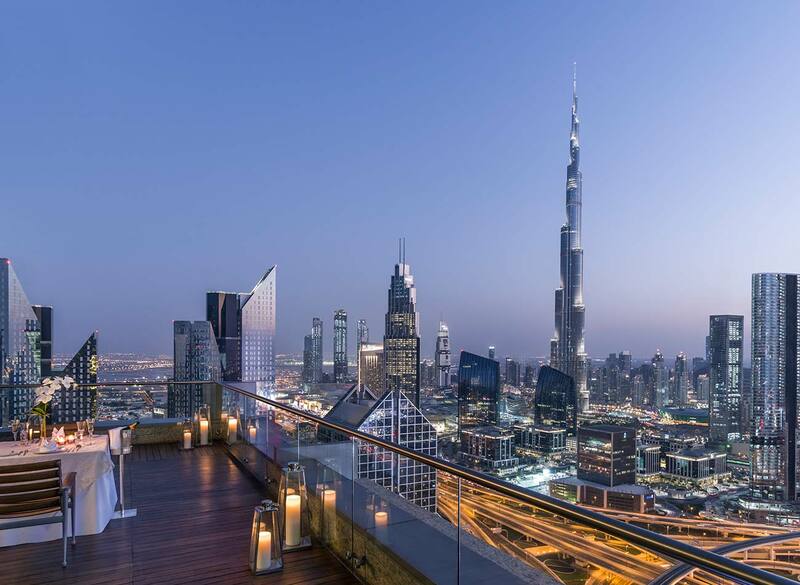 I adore a good rooftop bar view, a spa and a delicious swimming pool and the room with a view of the Burj Khalifa? Incredible. We are actually stopping through Dubai for the night and might have to stay at the Shangri-La! The views from the rooftop and rooms amazing (especially that night shot, wow!) and I love the look of the pool! It’s so good that it’s so close to the airport, beach and Burj Khalifa. 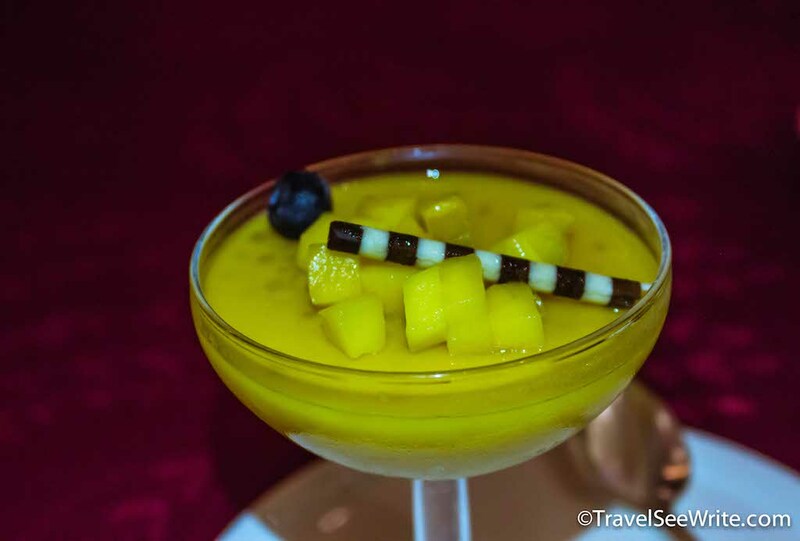 Shang Palace restaurant sounds amazing; I do love sweet corn soup and Beijing Duck! And I can’t believe they serve all-day pastries in the lobby! This is my kind of hotel! The Shangil La brand name stands in a class of its own. The Dubai one seems to live up to the brand value one associates with Shangri La. 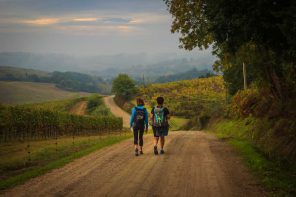 The location is strategic and it is so convenient to quickly get across to the major attractions. the Spa too seems like an ultimate experience in indulgent pampering. 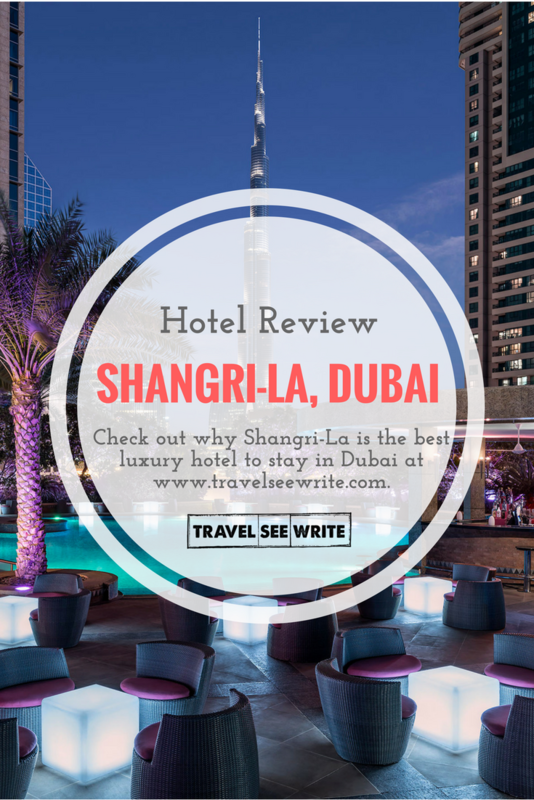 Shangri-La looks like a perfect place to stay when visiting Dubai. The view from all over the hotel look amazing. I want to visit Dubai so bad. Now I know where to stay when I eventually go. The pool looks perfect as well! Wow, what an elegant and beautiful hotel! With so many spa and dining options, I wouldn’t want to leave! I especially love how authentic they try to have the food. And of course, the amazing service. Shangri-La Dubai looks like my kind of hotel! 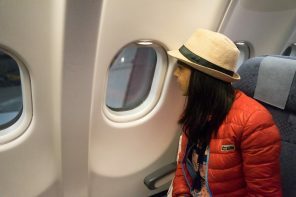 I’ve visited a few around the world, and can say, the experience is always first-class. 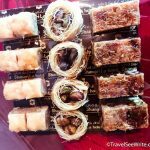 The spa experience is awesome too, and I can only imagine how good all the food options are! Excellent photos as always! I don’t know if I’d put it as the best luxury hotel in Dubai (there are so many!) but it certainly is one of the better ones, I agree. I love that they have a view of Burj Khalifa, that’s quite a big offer to the tourists (doesn’t appeal to me anymore because I live here haha) but what I like the most about this hotel are their restaurants, they have quite nice ones! The spa and gym look pretty cool too. What absolute luxury to experience in Dubai – the Shangri La definitely looks like the perfect spot to stay. And being only a short drive away from the airport, yet being in such a central spot to all the entertainment, it’s an awesome location. And WOW that view form the pool is absolutely incredible. This is totally the place for me, thanks for the recommendation! 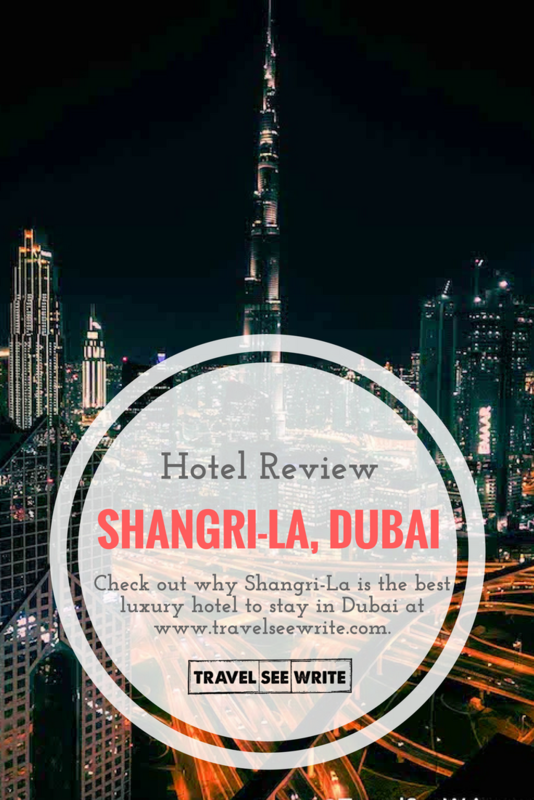 Haha was just going through this post and a certain smile came up on my face…Very interesting and absolute luxury to experience in Dubai – good thing about choosing Shangri-La hotel.